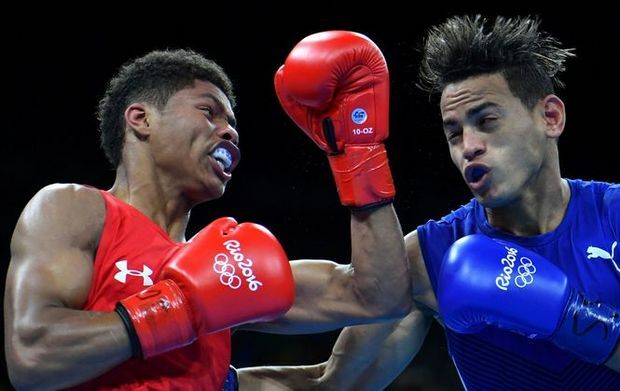 RIO is over but most 2016 Olympic Medalists have hopes of going pro in boxing. Great to have everyone back again at APEX Boxing Betting. Today, we look forward to see what Americans and other starts have the brightest futures in the sport. One has even captured the attention of Floyd Mayweather as he attempts to branch out into the promotions side of the Sweet Science. SO let us get our crystal balls to see what the next generation of boxing stars might look like here at APEX Boxing. Nineteen years old and sporting a silver medal, Shakur Stevenson is returning home as a king to Newark. Get ready for this statement. His silver is the best medal for a USA boxer since 2004 when Andre Ward won the gold. No wonder he is getting a parade and other festivities for his second place. This was the man who caught the eye of Floyd who said that he signed him. Shakur still asserts that he is still a free agent. Bantamweights can bring in the bucks. A split decision loss to the Cuban Gold medalist does not take the luster off of a good and lucrative career as America is starving for new fighters that have something other than ABC title belts to hang their laurels on. Gold medalist at two Olympic games would have a bidding war for services if she was male. Instead, it is UFC and MMA that is the stomping ground for proper paychecks for lady fighters these days. Alas Claressa Shields has resisted the temptation to cross over. She has been adamant about not doing so. If she can recapture some of the glory of women’s boxing then the money will come. With the unified machine of UFC against the fragmented titles and promoters of boxing, she stands little chance. A legend in her sport but few to appreciate and even less to pay her going on from 2016. While probably never going to the poor house, Claressa Shields’ earning potential is greatly harmed by her non MMA stance. Shakur Stevenson is going to be the next big thing in whatever weight class he chooses to enter. Hopefully he can evolve from his Olympic reputation as the Silver Medal winner into an accomplished champion on the pro level. Good fortune in your wagering ventures and we will see you next time here at APEX Boxing Betting.